Linda Darlene Jenkins, age 78, of El Dorado Springs, Missouri, passed away September 10, 2011, at Cedar County Hospital. She was born January 8, 1933, in Los Angeles, California, to Darrell and Linda (Riley) Sander. She graduated from Compton High School in Long Beach, California, and later attended San Francisco School of Cosmetology. On January 24, 1953, she married James Harold Jenkins in Nevada. Darlene was saved and baptized in the Missionary Baptist Church. After moving to Missouri Darlene worked for Nevada Habilitation Center, Caseys General Stores and Jump Stop Convenience Store. She enjoyed working, shopping, a good recipe, and being with family and friends. She was known to all as “Granny,” and was always willing to give honest advice. Granny loved good company, good food, and a good joke. She loved to brag about her grandchildren and host family get-togethers. 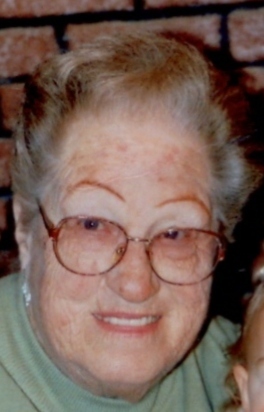 She loved to watch professional baseball and football, spend time shopping with friends, and going out to lunch. She was very independent and head strong and for many years managed her husband’s business and farm. She retired from Nevada Habilitation Center as a DA2 before working at Caseys and Jump Stop. If a customer was ever short money she would help them out. She had a heart of gold, but was always honest with all her comments. Preceding her in death were her parents, Darrell and Linda Sander; her husband, James Jenkins, her daughter, Darla Boultinghouse, and great-granddaughter, Darla. Survivors include: her daughter, Sandra Gillis of Joplin, MO; one sister, Jeanette Chandler of Camp Verde, AZ; seven grandchildren: Robert Gillis, Shane Davis and wife Virginia, Lee Roy Boultinghouse and wife Amy, Jennifer Daniel and husband Jeff, Eric Boultinghouse, Samantha Gillis, and Sean Gillis; and eight great-grandchildren: Skyler Greathouse, Ty Davis, KenLeigh Daniel, Wesley Davis, Kaelin Daniel, Kale Boultinghouse, Kylah Daniel, and Darlinda Davis. The family will receive friends on Friday, September 16, 2011, from 7-8 pm at Bland-Hackleman Funeral Home. Final disposition is cremation under the direction of Bland-Hackleman Funeral Home.